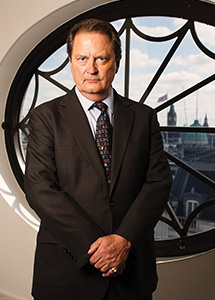 David Green, CB, QC, Director of U.K.’s Serious Fraud Office, seeks criminal prosecution of top frauds, bribery and corruption in his quest to revamp the SFO. 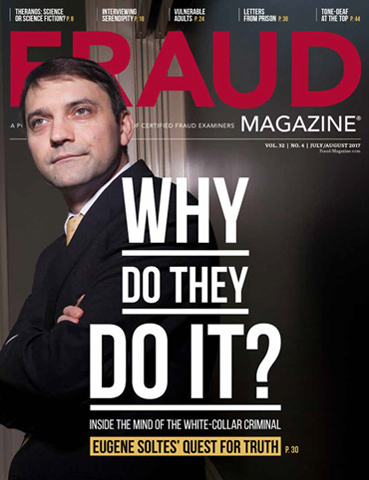 He will be a keynote speaker at the 2014 ACFE European Fraud Conference. He’s a man on a mission. 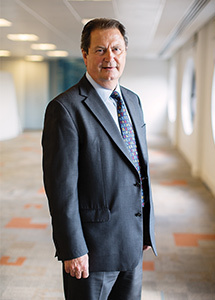 In an exclusive interview with Fraud Magazine, David Green, CB, QC, who was appointed director of the U.K.’s Serious Fraud Office (SFO) in April 2012, says he’s determined to refocus the SFO on investigating and prosecuting the top tier of fraud, bribery and corruption. The U.K. government established the Serious Fraud Office in 1988 following widespread concern with the system for investigating and prosecuting large and complex frauds. The 1986 Fraud Trials Committee Report (the “Roskill Report”) was the impetus for introducing the Criminal Justice Act 1987 (CJA) and creating the SFO. The act gives the SFO special “section 2” investigative powers so that it can search property and compel persons to answer questions and produce documents during a fraud examination. The complexity and scale of the Libor investigation can’t be overstated. It has influenced the financial sector globally; the full extent of criminal activity is still unclear. “We have charged three people thus far, and as we move forward there will further charging decisions,” Green says. “The investigation will, without question, continue into next year and possibly beyond.” This is the type of case that Green says he wants to tackle. The SFO, before Green, had been embroiled in alleged mismanagement and investigation blunders. However, Green believes the SFO is well underway to addressing the issues. 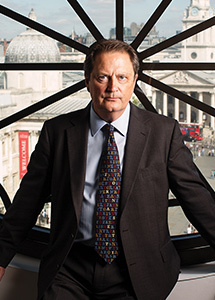 Fraud Magazine spoke to Green in his office at the SFO in London. DG: To our effectiveness and our reach, I would very much like the test for corporate criminal liability to be looked at again. As you know, in this country, it is extremely difficult to convict a company of an offence because the prosecution has to show that the controlling minds of the company — somebody at the board level — were complicit in the criminality you are trying to prove. I think that bar is too high, and is a very unrealistic test — not least because I think anyone will agree that if you’re looking into allegations of corporate misconduct spookily the e-mail trail tends to dry up at a fairly junior level. Where it can be shown that the company had really profited from the criminality of its employees then I think there is a sound case for expanding the ambit of section 7 of the U.K. Bribery Act. Section 7 creates the corporate offence of ‘failing to prevent bribery or corruption by an agent or employee’ with a statutory defence that they took all reasonable precautions. Now why can’t that be extended to cover fraud and offences of dishonesty so the offence would be failing to prevent fraud or offenses of dishonesty by members of your staff? It seems to me absolutely right that a corporation should have criminal liability for that when it has profited from it. Why should a company which has, in the way I’ve explained, been complicit in criminality just throw a few people over the side and sail bravely on? Why shouldn’t it have its ears clipped and marked as a company that has had dishonest employees and benefitted from it? Another argument is: Well you’d just be punishing a company for negligence. I would say it would be a pretty high degree of negligence when a company acts in that way and benefits from the dishonesty of its employees. I would like the SFO to have in its own possession a power of arrest, rather than having to ask police officers to conduct arrests for us. Obviously, that would need a proper employment of constables or people with the power of a constable and a proper understanding of the power of arrest, which of course is very significant. I would also like to be able to use section 2 investigative powers [of the CJA] before I have launched a criminal investigation simply to see whether there is material out there, which would form the basis of a fraud investigation. We now have such powers under the Bribery Act section 2A, which apply only to bribery and corruption cases. FM: Since its introduction there have been very few substantial investigations under the Bribery Act. Is the SFO investigating any offences? Can you tell us anything about these offences without prejudicing them? DG: There is no particular magic about the time when the Bribery Act came into force. It’s been in force since 1 July 2011. It is not retrospective, so there is legislation that is available to us that we use against corruption such as the Prevention of Corruption Act 1906. We have a number of cases framed under that legislation. As to the Bribery Act itself we have a number of projects in development in our intelligence section, and we also have several active Bribery Act investigations. We don’t announce all our investigations. DG: First of all, I don’t buy this argument that complying with the law is going to hold business back. Secondly, facilitation payments have always been illegal. However, it is a question of the public interest as to whether or not they are prosecuted. What would be a common facilitation payment? A 20-pound note and a bottle of whisky to some [maritime] pilot to take your ship from somewhere to somewhere else in a single payment; the SFO wouldn’t be interested in that. [Maritime pilots will guide ships into ports for hire.] But if it was a course of conduct over a number of years, then, of course, that becomes not just a very small insignificant little bribe but actually a regular payment over time to ensure that you get that business. The effect of this is that these so-called experts have scared the pants off of medium and small enterprises. It is really a question of getting some sensible, reasonably priced legal advice to discern their risk areas and put in place basic safeguards. But the idea that the Serious Fraud Office is going after a ticket to Wimbledon or a bottle of Champagne is, and always has been, utter nonsense. If, on the other hand, we saw a situation in which the entire board and their spouses of a major corporation were put up in London for a week and then given tickets for the men’s finals at Wimbledon with a couple of banquets before, during and afterwards, then that would be very worrying. Throw in first-class airfare and that would become extremely worrying. But the key to all this in relation to bribery investigations and whether or not we are interested in them has to do with value and importance but also timing, the motive and the effect of it — was it done at a time when some enormously important decision was going down with a view to influencing it? This is fairly common sense; we use a reasonable approach. FM: Do you think the UK judicial system is fit for such large and complex cases? DG: That’s a good point. It is the job of the prosecutor to develop focused cases. We have investigators and prosecutors in one agency, and it is the job of counsel that we use to present cases within clear constraints to make our allegations absolutely clear and as simple as possible. Our cases also demand tight judicial management. There might be a lot of evidence about similar behaviour. Say in the example of Libor, at the end of the day, the prosecution will allege that what happened was dishonest. I think everybody has an instinctive understanding of what dishonesty is. 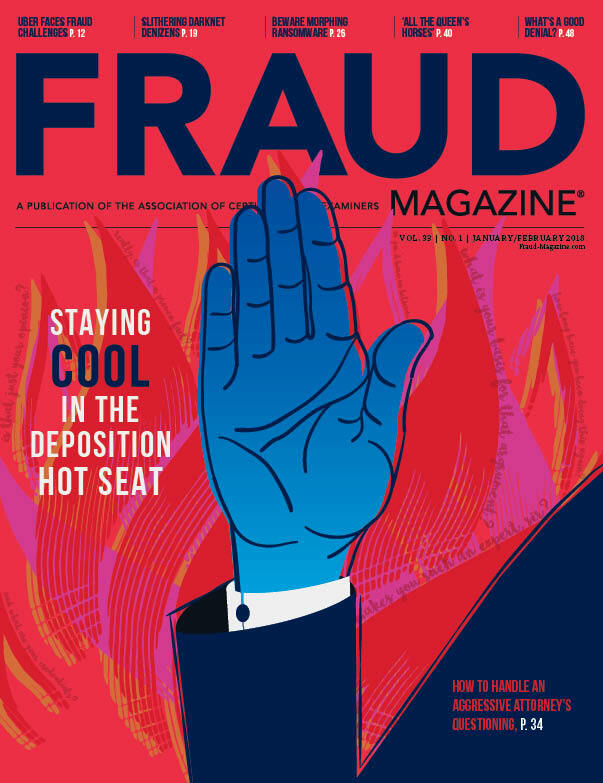 So the facts of a large fraud might be complex, but identifying dishonesty is not difficult. FM: Do you think that jury trials should cease in SFO cases? DG: No. I was a barrister myself for nearly 30 years, prosecuting and defending, and I have great faith in the jury system. When we are preparing a case we’ll work very closely with counsel from the early stages of an investigation through to the presentation in court. It is very much a team effort. Our prosecutors work to refine the issues and define them very carefully and we would expect our counsel to do the same and we have very tight control about how a case is presented in court as well. FM: You have said you have restated and refocused the SFO on top-level frauds. What’s going to happen to the large-scale international frauds, such as the boiler room and lottery scams and others that are probably too huge for other organizations to take on? DG: Well, I’m not excluding cases such as that. Our job is to deal with very top-level fraud, bribery and corruption. I’ve said that we are here to do cases that undermine U.K. commercial and financial plc [colloquialism for the U.K. commercial community] in general and the reputation of the City of London in particular and also cases with a very high public-interest element. Now, the boiler rooms can be simple or complex. The SFO could certainly do them, but the Central Fraud Group of the Crown Prosecution Service is well equipped to handle that type of fraud, while the SFO model is designed to handle cases like Libor. FM: Do you think the SFO’s acceptance criteria for cases needs to be changed or standardized with less weight on section 2 Powers? DG: As I’ve said, our major acceptance criterion is any type of case that undermines the U.K. plc and the City of London in particular. Of course, we consider if the Roskill model and section 2 powers are required. I don’t want to put out some rigidly defined list of cases we would take. For example, a serious conspiracy to defraud might involve a potential loss of billions, but the actual loss might be relatively small. So we have to take into account the actual and potential financial losses and harm. Ultimately, by statute, the responsibility of taking on a case for an investigation is mine. But our intelligence section weighs up the kind of evidence that might be available and what kind of case we could put together and then makes a recommendation to the case acceptance team comprising me, our general counsel and others. FM: How is a case team formed? DG: We decide what we need: resources, kinds of skills and level of computer and IT help. We ask if the case will have huge amounts of documents and if we need a preponderance of accountants. The problem is I don’t know how many Libor-type investigations there are around the corner. We’ve got 60 people working on Libor. Financially I’ve got a lifeline from the Treasury for blockbuster funding for very large cases separate from our existing budget. But I need resources within the office that I can move around from case to case rather than have people frozen in case teams. FM: The SFO Budget has been cut. Action Fraud [the U.K.’s national fraud and Internet crime reporting centre] and the U.K.’s National Fraud Authority have revealed the staggering proportion of serious fraud in the U.K. and around the globe. Surely, the SFO’s budget should be increased to protect the City of London and the U.K. plc. DG: A very good point. And I don’t think you would find a single head of any department in this country who wouldn’t say they could do with more money. We are where we are. If I were to feel we hadn’t got enough money I would go the attorney general and say I haven’t got enough money. He is on record saying if that were the case he would go to the chancellor. In relation to Libor I realized I would need more money to do that, so I went to the Treasury and got it. We have to have a budget, but at the same time the SFO will never refuse to take on a case on the grounds of cost. FM: In an ideal world how much bigger would you like to see the SFO? DG: I would like at the moment to stay where we are, which is as a unique top specialist agency that is capable of taking on enormously complex investigations. Once that is secure and consolidated — who knows? FM: If case controllers are lawyers what training do they have in investigations? DG: Case controller [case team leader] appointments are not limited to lawyers. They can be investigators, accountants. They have to be the best person to fit the criteria. Secondly, the SFO model depends on people from different disciplines working as a team. So, it shouldn’t really matter what case controllers happen to be. If they are lawyers they should be able to work very closely with investigators. If they are investigators they should be able to work very closely with lawyers. FM: What improvements are you making to staff training, and are you encouraging any of your staff to become members of the ACFE or Certified Fraud Examiners? DG: One, it was a finding of the Inspectorates’ report [HM Crown Prosecution Service Inspectorate] last year that our training needed looking at. I’m delighted to say that Geoffrey Rivlin [special advisor to the director] has chaired our training board since his arrival. We now have a rolling programme of detailed tailored training for everybody in the office, which, in my view is impressive. One really important strain is training for investigators, accountants and forensic accountants in the investigation of fraud. One of the problems in this area is that the SFO has grown up in a rather haphazard way since 1988 with bits being bolted on here and there. The result is there is a career structure for lawyers, but there is no clear structure for accountants or investigators, and I would like to put such a structure in place. In relation to investigators, we are currently evaluating the ACFE training to see whether it is appropriate for us; if so, it will be very useful indeed. We are also looking at what further training more senior people might require and seeing what’s right for us. Chief Investigator Kevin Davis, on loan to us from HMRC [Her Majesty’s Revenue and Customs], is a very experienced investigator who leads the hunt to find the right kind of training for us. FM: With such large volumes of data being seized do you think we need a change in primary legislation to the way in which we deal with electronic disclosure? DG: Well, it is not really for me to say whether there should be new legislation. I am but a civil servant. We have the Attorney General’s Guidelines on Disclosure of digitally stored material. I think it’s is a good start. It enjoins the prosecution and the defence to get together and agree on search terms to be applied to very large amounts of data. But I think the real question is: Is there some special case for some kind of exemption for the SFO from the disclosure regime simply because the cases we deal with are very big? No, there isn’t. If they want to change the general scheme of disclosure, that’s a matter for Parliament. It’s an enormous exercise and a huge burden, but it can be made to work. I think what one must do as a prosecutor is to ensure that you pin the defence down on disclosure. What is your defence? Explain to us why it is you want this material and how it is relevant to that defence. DG: My predecessor had guidance on self-reporting, in which though it did not say it in so many words, was a very clear implication that if you self-reported as a company you would not be prosecuted, and there would be a civil disposal of what you had done. I disagree with that absolutely and fundamentally as a matter of principle because no prosecutor can ever give guarantees in advance. We have no idea what set of facts are going to come in through the door next. So, we have returned to the old guidance, which has always been there; we will apply the Code for the Crown Prosecutors. In other words, in each situation we would see if there’s enough evidence to prosecute. If there is, we consider if it’s in the public interest to prosecute this company. Now if a company were to come in and say, “Look, we have discovered this misconduct. We have conducted a full investigation; here are the results. We are willing for you to investigate it as you wish. We’ve gotten rid of all the people involved in this, we will hand over any illegal profits obtained as a result of this crime.” In such circumstances, one does struggle to think how it would be in the public interest to prosecute such a company. But it is a question of principle here. If you start — and I feel very strongly about this — if you start blurring the boundaries between what people involved in the criminal justice system do then it’s a dangerous path to follow. Prosecutors shouldn’t be doing deals or making offers in advance and defenders shouldn’t be too familiar with prosecutors. We need to stay where we are and within our own divisions. That’s my view. DG: Well, I think if you looked at the American model of DPAs you might think it could be described as a deal. We’ve adapted it for use in this country to have judicial involvement and scrutiny from the very beginning. The reason for that is to preserve the principle we have in this country, which they don’t have in the States, that sentencing is a matter for the judge. It’s not a matter for some cozy deal between prosecutor and defence. Now if the judge says, “No, I don’t I think this is a suitable case for a DPA,” we’ll carry on prosecuting. So, it is a transparent process. Ultimately, if a DPA did go ahead there would be a statement of facts read in court. Nothing would be hushed up. You can’t really go wrong if you’re transparent. Things go wrong in the criminal justice system if anything appears to be opaque. You lose public confidence and you lose the confidence of the people involved. FM: Could you give me a brief overview of the improved intelligence capability at the SFO? DG: From the beginning, it was my view that we had to expand our intelligence capability significantly so we can obtain and develop intelligence from other intelligence gatherers in this country and use it. Secondly, we need to have the capability to look at the risks of fraud, bribery and corruption in particular sectors of the economy and say to those sectors that they have a problem and they should come and talk to us. Traditionally, the SFO has always investigated fraud reactively. We now have the capability to do proactive intelligence gathering. And I want to be more proactive. Obviously, we are learning from other departments that conduct investigations such as the HMRC [Her Majesty’s Revenue and Customs], SOCA [Serious Organised Crime Agency] and others. We want to make enhanced intelligence capability a significant part of the organization. It plays into self-reporting. DPAs and other powers are nice carrots, but we need sticks as well. 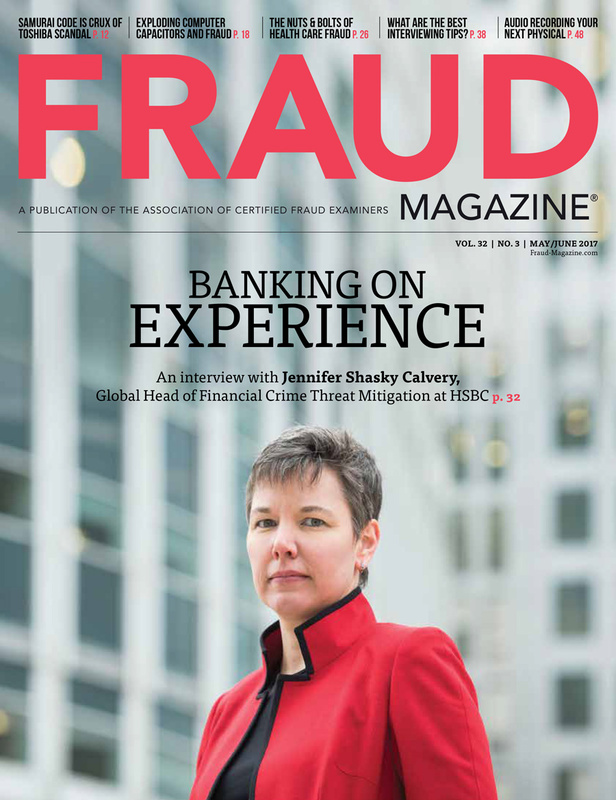 Greater intelligence will help companies make the decision to report fraud to the SFO. They will think twice about hiding it. FM: The ACFE’s Report to the Nations, which ACFE founder and Chairman Dr. Joseph T. Wells, CFE, CPA, first began in 1996, shows that most cases come via tipoffs. Is that the case with the SFO? DG: I remember an annoying headline: “Three thousand tipoffs a year to the SFO and yet only two prosecutions based on tipoffs.” We used to have a phone-in line, which was launched with great fanfare by my predecessor. We now have an email reporting service. The problem with these services it is that 98 percent or even more of what is reported to us are not things that the SFO would normally investigate. So we pass the info to the police for investigation. Of course, I’m not saying that these sort of offences aren’t extremely serious, but we weren’t designed to handle them. The number of whistleblowers will grow over time because of the Internet and other drivers. 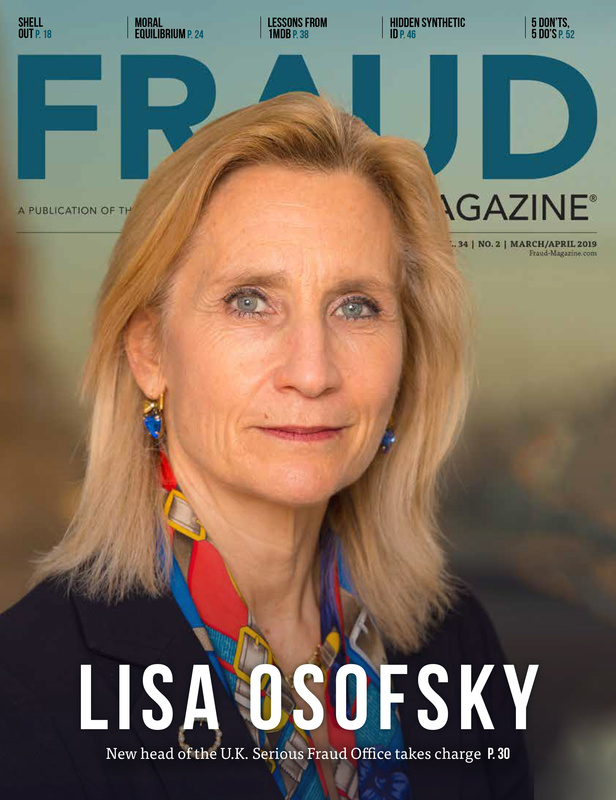 Companies are increasingly at risk if they are trying to commit and suppress incidents of fraud because whistleblowers, who simply won’t put up with working in that kind of environment, will report them to us. FM: Would you like to see more protection for whistleblowers? DG: Well it depends what sort of protection you’re talking about. If you’re talking about rewards — I’m not sure about that. Protection so that they lose no employment rights — certainly. Protection to ensure they are not discriminated against in the workplace — most of that’s in place already. But we have to consider things such as whether a whistleblower would be a witness for the prosecution and to what extent rewards would taint them. It’s a very difficult balance. I’d like a public debate on that matter; it is a matter for the public to see what they find acceptable and what they don’t. FM: And the most satisfying thing for you working at the SFO? DG: It’s a great organisation with some really, really good people. We do high-profile, high-risk work. We need to define our mission and keep that very clearly in mind in all that we do. I said when I took this job that I wanted to restore the SFO’s corporate self-confidence and to lead it back to the top of its game doing what it should be doing. And that’s where I hope we’re going. But it’s a rocky road. There are a lot of issues from the past that we simply have to deal with and in a straightforward way. We have to ensure that all of our procedures work and raise the morale of the organization. All of this is happening. But it’s a slow process; it’s a slow process. 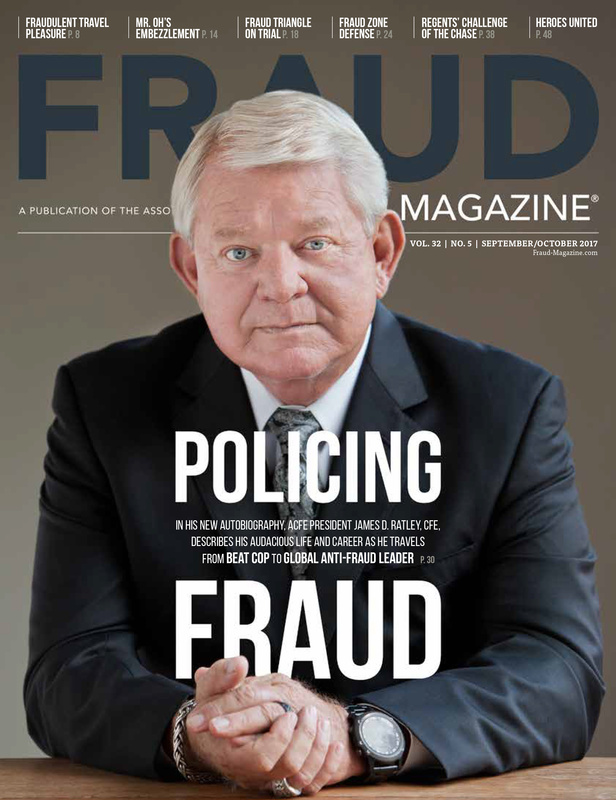 Tim Harvey, CFE, JP, is director of U.K. operations for the ACFE and the co-author of the “Global Fraud Focus” column in Fraud Magazine. Green returned to the Criminal Bar in April 2011. 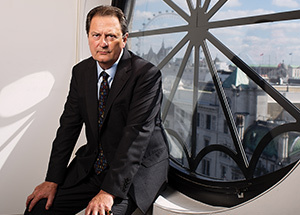 He was appointed director of the Serious Fraud Office on April 21, 2012. Green was called to the Bar (qualified as a barrister at one of the Inns of Court Barristers' chambers) in 1979, appointed recorder (a part-time judge sitting at Crown Court) in 1996 and took silk (became a QC; QCs wear silk robes) in 2000. He was appointed CB in the Queen's Birthday Honours in 2011. The Serious Fraud Office (SFO) is an independent government department of forensic accountants, professional investigators, computer experts and lawyers. They investigate and prosecute serious or complex fraud, bribery and corruption. The SFO is part of the U.K. criminal justice system with jurisdiction in England, Wales and Northern Ireland but not in Scotland, the Isle of Man or the Channel Islands. The SFO uses its special legislative powers to obtain evidence for building successful cases and bringing criminals to justice. The SFO says it uses the lessons it learns from the cases it investigates to try to prevent extensive, deliberate criminal deception, which could threaten the public further. Department of the Director of Public Prosecutions for Northern Ireland. HM Crown Prosecution Service Inspectorate. 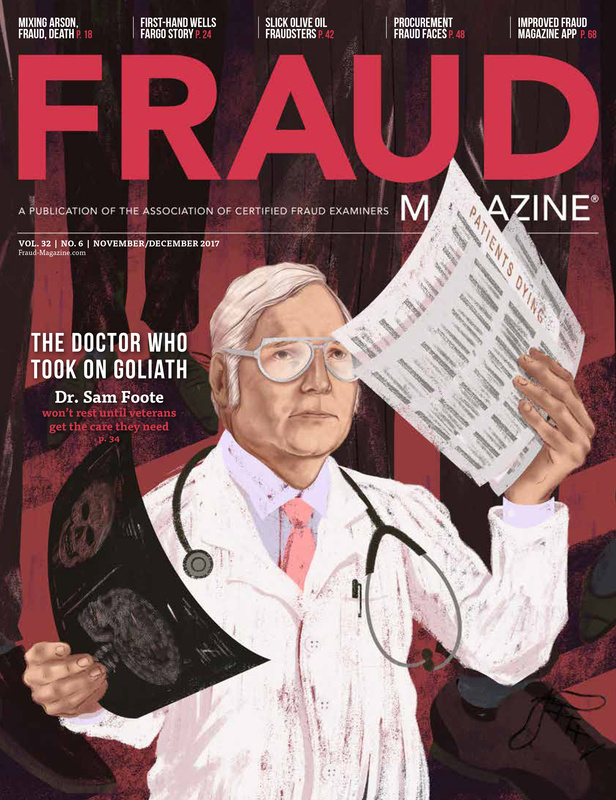 The SFO recently has tackled two major cases, in keeping with Director David Green’s stated desire to focus on the most serious corporate fraud problems. The SFO has charged Gyrus Group Ltd., a U.K. subsidiary of Olympus Corporation, and Olympus itself with offences of making a statement to an auditor that were misleading, false or deceptive, which violates Section 501 of the Companies Act 2006. Gyrus Group faces four charges, and Olympus faces one charge. 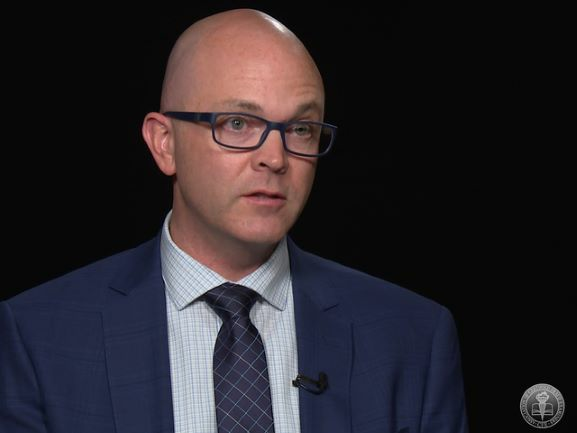 (See the Sept. 4 SFO release, “Gyrus Group Limited and Olympus Corporation.”) These offenses arise from the allegations of Michael Woodford, former CEO of Olympus, who was a keynote speaker at the 23rd Annual ACFE Global Fraud Conference. SFO’s 2012 annual report shows 38 convictions last year with an average sentence of 55 months with more than £50 million recovered. The SFO worked with more than 30 other jurisdictions and loaded 35 million documents into its document review system. As of press time, it has a rolling caseload of about 70 cases. The SFO focused heavily on bribery and corruption in 2012. Paul Jennings, former CEO of Innospec Ltd., pleaded guilty to conspiracy to corrupt Iraqi officials. The company, which pleaded guilty to bribing employees of an Indonesian state-owned refinery, was ordered to pay $12.7 million. Two Ministry of Defence employees and a contractor pleaded guilty to a number of corruption and money laundering charges in relation to tendered CCTV contracts. In another corruption case, four men were convicted of conspiring to corruptly obtain payments by supplying confidential information about high value gas and oil projects. The ringleader, Andrew Ryback, was sentenced to five years in prison. Learn more about David Green and the other thought leaders who will be speaking at the 2014 ACFE European Fraud Conference.